In 2016, the population of the northern metropolitan region (NMR) was approximately 973,939 (Australian Bureau of Statistics, 2016). More than 14 per cent of Victoria’s Aboriginal and Torres Strait Islander population reside in the NMR. The region covers more than 1,600 square kilometres, from inner city parts of Richmond to remote parts of the Kinglake Ranges, and contains suburbs diverse in ethnicity, socio-economic status and infrastructure. 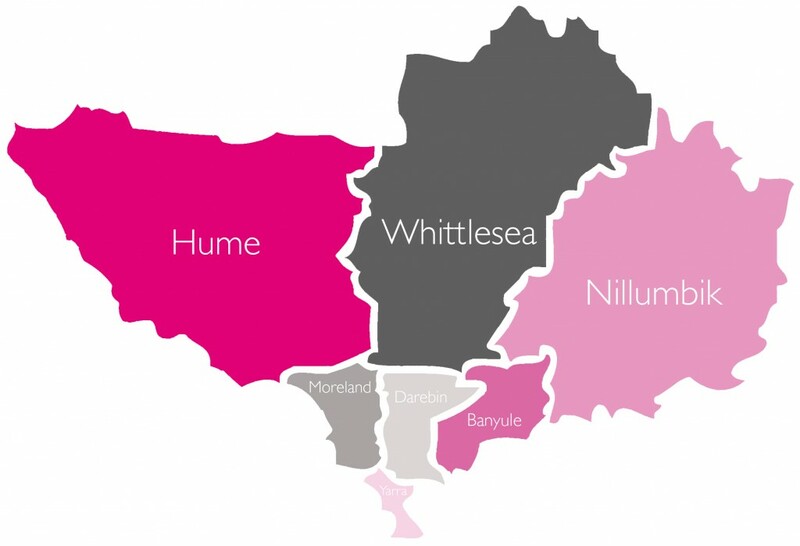 There are seven Local Government Areas (LGAs) in the region: Banyule, Darebin, Hume, Moreland, Nillumbik, Whittlesea and Yarra. NIFVS acknowledges the traditional owners of the land on which we provide our services, the Wurundjeri people of the Kulin Nation. We pay our respects to their Elders past, present and future and express our hope for reconciliation, justice and the recognition of the ongoing living culture of all Aboriginal people.